If you're ready to begin your Dungeons & Dragons adventures or you're a veteran looking to replace your core rulebooks with fancy new copies, you'll be very interested in the deal that just popped up on on the Core Rulebooks Gift Set. 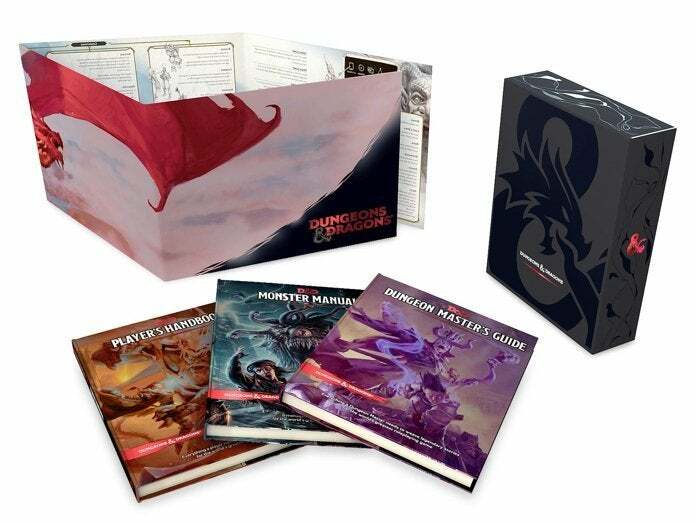 First off, the bundle includes the Players Handbook, Dungeons Master's Guide, and Monster Manual with special reflective foil covers that are exclusive to this set. There's also a DM screen and slipcase thrown in for good measure. At the time of writing, you can get it from Amazon for $88.56, which is 48% off the list price and just a shade off an all-time low. It's even cheaper from a few sellers in Amazon's marketplace if you choose to go that route. This is a pretty fantastic deal when you consider that if you were to buy the standard Player's Handbook, Dungeon Master's Guide, and Monster Manual (without the reflective covers) separately right now, it would cost you $97.18. Keep in mind that an even more exclusive edition of the gift set with alternative covers is also available on Amazon for $131.92. That's 22% off the list price, but a fairly average price for the set over the last several months. On a related note, Dungeons & Dragons fans have a new publication to be excited about called Ghosts of Saltmarsh. 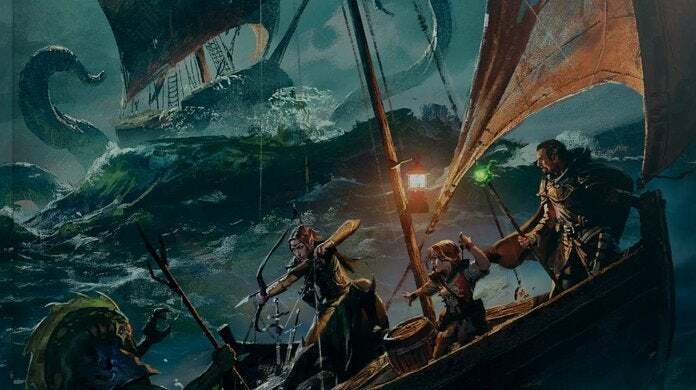 The new book will bring the most popular classic nautical adventures from the first edition of D&D as well as Dungeon magazine to the fifth edition. These adventures include The Sinister Secret of Saltmarsh, Danger at Dunwater, The Final Enemy, Salvage Operation, Isle of the Abbey, Tammeraut's Fate, and The Styes. Ghosts of Saltmarsh is slated to arrive on May 21st, but now is definitely the time to get your pre-order in. At the time of writing, the book is only $29.79 via Amazon - a whopping 40% off. The book is covered by Amazon's pre-order guarantee, which means that you won't be charged until it ships and you'll automatically get the best price that occurs between the time your order and the release date. The deal is already down a bit from a 42% high, so lock this one in while you can.